My agent didn’t give up. That’s a great thing about having an agent. They don’t break their pencils and quit when some editor writes a “so sorry” letter. She sent it back out. I got more rejection letters. The best one—if there is such a thing as a best rejection—came from Harlequins in November 1980. They said they’d “love to publish” my book. If it wasn’t so long. If it wasn’t a historical. If, if. Sigh. I gave up on the story after that. My agent kept trying to sell the book for a while, but I lost hope. I had loved Gabrielle and Brice while writing their story. I mourned that no readers would get to know them, but by then I was deep in a new story that was giving me new hopes. Eventually my agent gave up too, and the manuscript found a spot on a closet shelf where all good books go when no editor loves them. In an offhand way, I mentioned I wrote a book about the Shakers once. In no way was I pitching the book, but she wanted to read it. So after she left, I dug it out of my closet. Writers are often told it’s good to set aside our work a few days in order to have fresh eyes when we begin rewriting. Let me tell you, set aside a book for twenty-five years and your eyes are really fresh. So I rewrote, polished, and eventually sent it off to Lonnie. Fast forward most of another year. I’m talking to Lonnie about my second Hollyhill book, and I ask if any decision has been made about that Shaker book. She mentions concerns about my character’s visions in the book. I say I can’t edit out the visions. We compromise. Compromise works. In 2008, The Gift of Love finally ends up in readers’ hands with a fantastic cover and a new title, The Outsider. 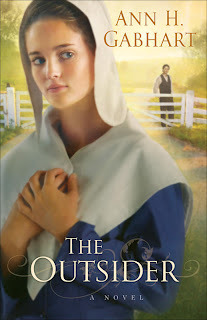 In 2009, The Outsider was a finalist for the ECPA Gold Medallion Fiction Book of the Year. It’s time had come. Finally. As a special treat, we’re sharing that The Outsider is being offered on Amazon as a free Kindle download. 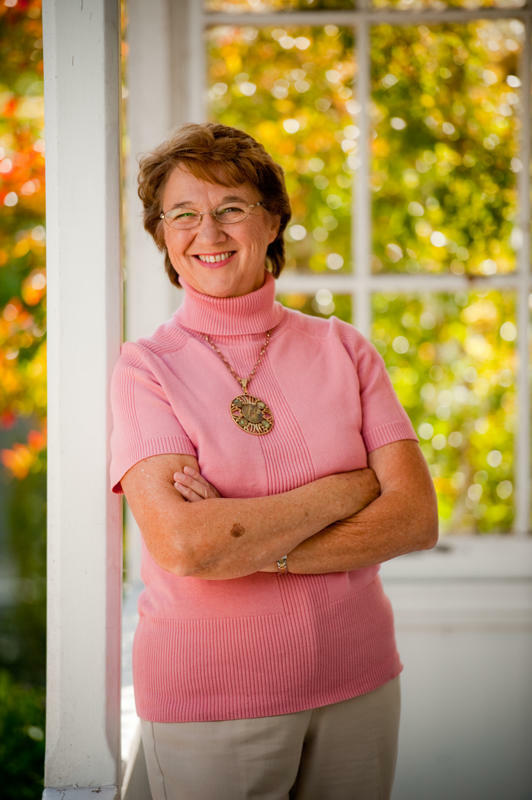 Ann H. Gabhart has published over twenty novels for adults and children including her bestselling Shaker novels. Ann lives on a farm in Central Kentucky with her husband, Darrell who sings bass in a Southern Gospel quartet. They have three children and nine grandchildren. Ann’s latest releases are her fourth Shaker novel, The Blessed and Angel Sister, a novel inspired by the stories her mother told her about growing up during the 1930’s. You can keep up with Ann on her website, www.annhgabhart.com; her blog, One Writer’s Journal, www.annhgabhart.blogspot.com; Facebook author page http://www.facebook.com/pages/Ann-H-Gabhart/132862247566, or follow Ann on Twitter, user name annhgabhart. Developing a good plot is the basis of writing a good book and there are so many methods out there that will help. Some people are plotters – they have to know exactly where they are going as they write their books. Others are pantsers – they fly by the seat-of-their-pants, writing the story as they go. Most folks are a combination thereof – developing a basic outline and filling in as they go. Because most agents, editors, contests, etc. require a synopsis, it's always a good idea to have some sort of plot in mind. Snowflake Method - by Randy Ingermanson. a little time-consuming, but perfect if you are a plotter. Plot Skeleton - bare-bones (pun intended) method based on a workshop given by Dr. Angela Hunt at the Blue Ridge Novelist's Retreat. 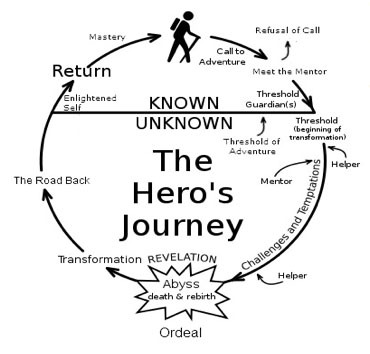 The Hero's Journey - first introduced by Joseph Campbell, it's the basis for many books, movies, etc. Three Act Structure - by none other than the late Stephen J. Cannell. The article relates specifically to screen-writing, but it can be adapted to a novel. 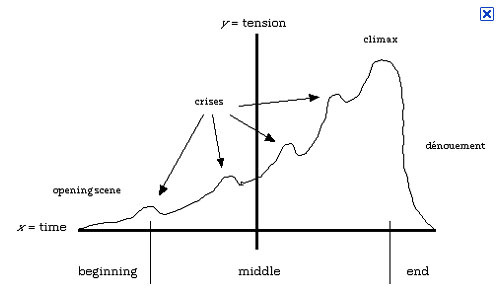 Five Act Structure - a variation of the above, also called Dramatic Structure. Here's another article. Plot & Structure - not a site, but a book by James Scott Bell. And it's wonderful! Explains numbers 3 through 5 of this list in addition to Jim's own variation of the Five Act Structure. If you can't afford the book yet, check out this article by Jim: Solid Structure. You can also Google "plot structure" and get plenty of other images and sites. Amazon also offers books and software programs to help you as you write the next great novel. What kinds of methods, websites or programs have you used to plot your work? It’s Ask O Wednesdays. Ocieanna here. Don’t forget to leave your writing questions in the comments section (or contact me privately through ocieanna.com). I’d love to answer them! And check out the end of this post for a FREE TWIST WORKSHEET. Today’s question: What’s a good way to create a super-surprising, really cool plot twist? That’s an important question. Plot twists are vital to hold reader interest, but not easy to keep fresh and unpredictable. Fortunately, a kid movie I recently watched, Megamind, gave me some clues. I actually watched two kid movies recently (I’m a mom, what can I say?). Despicable Me and Megamind. Unfortunately, I found Despicable Me predictable, even boring at times. I never jumped in my seat with a, “Hey, I didn’t expect that. Cool!” Nope, everything happened like it was supposed to. Bleh. On the other hand, Megamind’s awesome twists gripped me. One was when the burly hero-type guy, Metro Man, who the protagonist Megamind killed at the beginning of the movie, showed up, not dead. A thought-to-be dead guy coming back is definitely an overused twist, but they made it work by convincing me beyond doubt that he really was dead. I believed it, so when he returned, I was surprised … and happy. Not because I liked the character, but because they “got” me. I love being “got” in a story. Don’t you? What did I learn from this? If readers absolutely believe the set up, they’ll buy even a common twist, like a seemingly dead guy coming back. But the twistyness wasn’t over by the return Metro Man. Nope. Another twist was soon to come. When Metro Man showed up, I couldn’t help but wonder if he was going to save the day. It would be an easy answer. But no! Instead, another twist. He refused to help and instead hung back and left the heroics to Megamind. Pretty cool, but that wasn’t all. Soon, just as I was feeling comfortable with how I thought the plot would go, Metro Man came back. What? I totally bought that he wasn’t going to spring into action and save the day, but there he was. I didn’t expect that, but again I was pleased because they “got” me. Plus, it seemed to bring a satisfying resolution to Metro Man’s character arc. This pattern repeated several more times. Just when I felt like I knew what would happen, down came another surprise. Hmm … I pondered. How can I use this in my novel? Well, perhaps I can’t layer quite as many outrageous twists as in a kid movie, but I can be sure to layer one twist with another before the reader gets too comfortable. An example from literature is Jane Eyre by Charlotte Bronte. When she discovers Mr. Rochester’s mad wife in the attic, you expect her to be crushed—which she is—but you’d never expect a single woman to wander through the moors, and find her long-lost family, make a life for herself without need of a man, and then be the one to support him. Keep your readers guessing, and they’ll keep those pages turning. Try this in your work in progress. 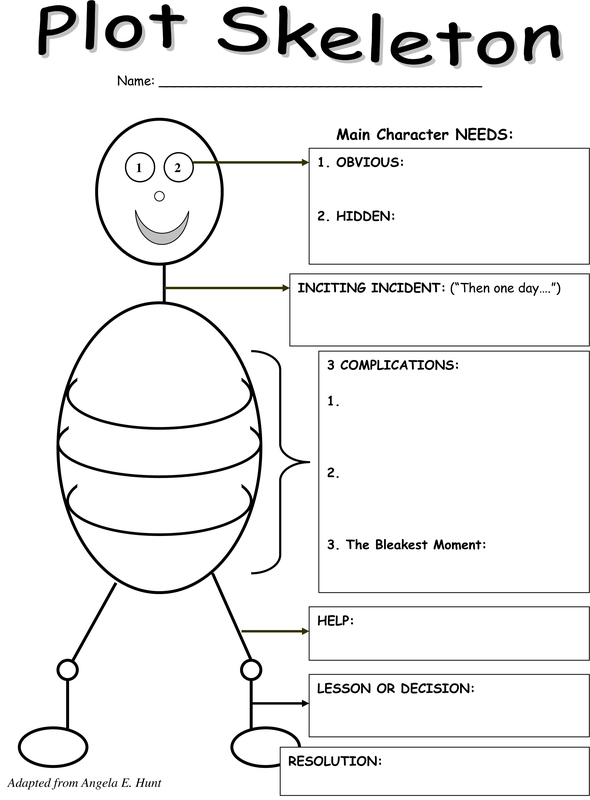 Go to ocieanna.com for a FREE Twist Worksheet from O! And don’t forget to leave your writing question in the comment section. Happy writing! How many of you have heard the old story about the bumblebee? Supposedly, a scientist compared the weight and measurements of its body to its wingspan and judged that bumblebees cannot fly. 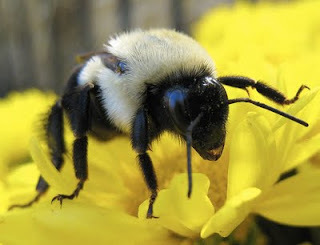 However, the bumblebee just keeps vibrating its wings and buzzing away from flower to flower. Lately I've been getting little love notes from God. No, I'm not hearing voices, but do you ever find yourself seeing things with a common theme over and over? Lately, my theme has been, "Don't be afraid." "Don't be afraid," you ask? Am I climbing a mountain, taming lions or fighting a war? No. I'm just writing a little novel and sometimes it terrifies me. The what-if-asaurus hovers over me as I type, his stinging stinky breath settling over me like a cloak, telling me I'm going to fail or I'll never finish or even, I'll finish and be published (which in some ways is even more terrifying). Or I may "happen" to read blog posts or inspiring articles while waiting in the doctor's office on conquering fear. Over and over again, I find this topic keeps popping up and you know what it tells me (besides the obvious)? It's telling me that Someone loves me enough to make sure I hear His message. It also tells me to keep on going, even when the little voice inside me says I can't do it. I'm supposed to keep on writing even if what I wrote last night sounds ridiculous the next morning. And I have to do more than just show up. Remember the bumblebee can't fly unless it vibrates its wings. I've got to move my fingers and try, at least. And I've got to trust Him to do the rest. Hey everyone, it's our final installment of Editor Nick Harrison's fantastic series on why publishing houses decline projects. I've learned some things, how about you? Many thanks to Nick for sharing his advice and wisdom with us! Read on! Sometimes an otherwise fine book is rejected because of the lack of spiritual value. In addition to our list of core values, we also have a mission statement: To glorify God by providing high-quality books and products that affirm biblical values, help people grow spiritually strong, and proclaim Jesus Christ as the answer to every human need. One good question to ask when you’re looking for a publisher is: what is their mission statement and does my proposal fit that mission? If it does, it wouldn’t hurt to point that out in your cover letter or as part of your proposal. Number seven can only be described as “for unknown reasons.” Publishing committees, like editors and like readers, are subjective. Sometimes they pass on really great projects that go on to be very successfully published elsewhere. Sometimes we read success into a proposal that really isn’t there…and the book fails to live up to our hopes. Sometimes I never find out exactly why I got a no. Usually, though, the committee’s judgment is eventually confirmed. One time I presented a well-known author to the committee and I thought for sure it would be a slam-dunk yes. The proposal was on a topic that was popular in the marketplace, it was well-written, and the author seemed personable. For reasons I never knew or have now forgotten, the committee said no. When I emailed the author’s agent about the results, I received nothing in the way of a “thanks anyway” or “gosh, it would have been great to work with you,” or some sort of acknowledgement that I had championed this author. But I never again heard a peep from either that author or her agent. So in retrospect, I doubt she would have fit in at Harvest House anyway. Let me add a final word that, just like there are unknown reasons why a book may be rejected, there are sometimes exceptions to a couple of the above reasons for rejection. We have published books when the author had very little or no platform because we felt it was an important book that needed to be published in spite of the possibility of low sales. We have taken books where the writing was less than stellar, but which we were able to edit into excellent books. We have also taken a novel from a “one-book author.” Those are rare exceptions, however. To learn more about Nick Harrison, visit his blog. This post originally appeared on Nick Harrison's blog. Used by permission. 1) Schedule your time carefully. Make a weekly calendar so you don’t miss a doctor’s appointment, dance recital, or the neighborhood cookout. Keep certain times “off limits”. Don’t sign up for meetings, exercise classes, or volunteer work if it interferes with the family dinner hour, Sunday morning church services, or other events you hold sacred. Make sure each day includes personal time, whether it’s a solitary walk, devotional reading, or rocking in the porch swing. Figure out how to manage housework, yard work, bill paying, laundry, grocery shopping, etc. (a little every day, or one day for each task, etc.) Don’t allow Internet surfing, answering e-mail, chatting on the phone or texting to steal too much time. Set limits on “time-robbers” so your sense of serenity doesn’t suffer. If you work outside the home, discover ways to take care of errands during your workday, such as shopping for gifts on your lunch hour or chatting with mom during the commute. Shop for groceries and stop at post office or dry cleaner on your way home to present needless trips on your day off. If you work at home, treat it like a job—schedule working hours and stick to them. Otherwise you won’t get any truly “free time.” Regarding your social life…pick and choose carefully. Don’t feel you must accept every invitation, volunteer project or committee meeting. Learn to say “no” unless you truly wish to devote the time and energy. 3) Multi-task, but only if it’s productive. The only time I dust is during phone calls. I check voicemail while walking the dog. I group errands into one trip to free up uninterrupted time for writing. But don’t make the mistake of balancing your checkbook during your son’s ballgame if he’s expecting you to watch him play. You will fail at both tasks. Be sure to allow “down time” every now and then to watch a sappy movie, read a book, or play a game of checkers with a child. If you’re feeling stressed, recharge your batteries. I can live with weedy flowerbeds as long as my bathrooms are clean. I don’t like clutter, but dust doesn’t bother me. I take store-bought brownies (dusted with powdered sugar) to parties so I can have time to write stories about women who love to cook. You can’t do it all. Repeat that as a mantra every morning. Give up the notion you can do it all and compete with the Food Channel gurus. But if cooking happens to be your pleasure, find another area to be mediocre in and don’t apologize. Put your future in God’s hands instead of looking too far into the future. If you dwell on what you need to accomplish by the end of the week, month or year you’ll become discouraged. Like every monumental project we tackle, whether building our own house or hiking the Appalachian Trail, if we fully understood how arduous the task we would never begin. Create a schedule for yourself that accomplishes your goals in small increments and stick to it. Never compare yourself to others. Pray for guidance and then listen to your intuition. This is God talking to you. Invite Him to take the helm of your life. If your goals are part of God’s plan then you cannot fail…whether it’s climbing Mount Everest, learning to speak Japanese, or writing your first book. Mary Ellis grew up close to the eastern Ohio Amish Community, Geauga County, where her parents often took her to farmers’ markets and woodworking fairs. She and her husband now live in Medina County, close to the largest population of Amish families, where she does her research…and enjoys the simple way of life. Hey readers! It’s our first This-n-That Thursday here on Seriously Write. Along with other changes we’re making this month, we’ve added a rotating day where each of your hostesses share whatever we like. I wanted to launch by sharing what I’m writing. Ready for a story? Last February, I went to writers’ conference where e-book discussions were all the buzz. And I learned a lot more about this trend. So, I came home and felt led to jump deeper into the e-book waters. Let’s stop there and chat. What are you impression on e-books? Love 'em? Hate 'em? Here to stay? Or not? Do you enjoy reading them? Do you prefer reading them? Have you ever read one? For example, the other day I picked up a small trade paperback. Ugh! Just opening that little book enough to read near the binding was giving me fits! I couldn’t fold back the sides because it’s too small, my hands were aching from working so hard to bend it out of my way. I’d much prefer to prop my Kindle up at a good angle and click to turn the easy-to-read screens (pages). Love it! Back to my story, so I came home from that conference and got to plotting what White Rose Publishing calls a Dollar Download. First, I read one to get the feel. With an upper word count limit of 6,000 – 8,000 words, this is one short romance! ;) So I wanted to make sure I could get the “formula” down. Then, I set aside two hours a day, three days a week to write it. By the end of 30 days, I had written my first Dollar Download. Then, I polished it and sent it off to the same place that published my first e-book/paperback (Love Letters)—White Rose. My editor loved it. (Thank You, God.) Husband Material releases tomorrow, July 22, 2011!! Visit White Rose Publishing for more details. So what am I working on now? Another Dollar Download, plus a couple of projects for the upcoming ACFW conference. Let's chat: What are you working on? And feel free to chime in on the e-book discussion! Happy Wednesday! Ocieanna here. Don’t forget to leave your writing questions in the comments section (or contact me privately through ocieanna.com). I’d love to answer them! Recently a friend asked me how to handle cliché characters. What do you do when your story calls for a character, but you’ve met him too many times in novels before, like a mean boss, a frumpy best friend, an ignorant gold miner, a wizard, you know, the folks who show up in every book? First, the obvious. Dump the character. If you can get by without the wizard, banish him. Sometimes characters creep into our stories not because they fit, but because we feel obligated. All romances have frumpy best friends, so mine must need one too. Maybe your story does require one, but maybe not. Stop and evaluate the best friend’s purpose. Can the story survive without her? If it can, you might just want to break off the friendship. Sorry, honey, you’ve got to go! Second, switch it up. Sometimes you can’t just nix the gal. 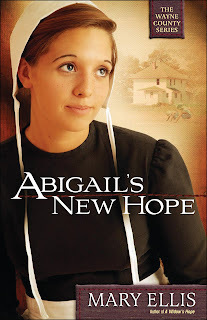 In my book, Love Finds You in Lonesome Prairie, my protagonist works at an orphanage. So, of course, there’s a headmistress … Ding ding ding! A headmistress at an orphanage rings the cliché bell, doesn’t it? A selfish, mean, ugly villainess immediately shoots to mind, along with images from Little Orphan Annie and The Little Princess. I couldn’t cut her because she played a key role in the plot, so I intentionally made sure she wasn’t anything like Annie’s Miss Hanigan. Instead she’s kindhearted, yet dimwitted. She always wants to help, but ends up hurting those she loves despite her good intentions. A headmistress with a twist. There’s the key. A cliché character can stay if she must, but tweak her a bit. Can you think of how to mix up any other cliché characters? What if the wizard lost his powers and was forced to depend on his knowledge of botany instead? Or rather than an ignorant gold miner, he’s college-educated with a deep back story explaining why he’s mining for gold instead of teaching physics at university. Third—and perhaps most provocative—maybe you just have to keep your cliché character the way she is. Gasp! This makes me cringe a little because I’m the president of the anti-cliché society, but think of it this way. We all want to feel a sense of coming home when we read a novel. A familiar character is like having a friend guide us through the new world. Perhaps that’s why movies and books with characters we’ve all seen so many times do well. Star Wars, Twilight, and Harry Potter are obvious examples. I recently watched Notting Hill again. The folks who put out this film also did Four Weddings and a Funeral and Love Actually among others. Similar characters show up in all of these films. Very similar. Especially the quirky friends, the shy hero, and the distant, slightly mysterious, sought-after girl. Yet, maybe these films are popular partly because audiences know what to expect. Of course if you let these cliché-types stay, it’s important to craft them carefully. Make your wizard, frumpy friend, or gold miner so pristinely believable your readers won’t even notice she’s met her before. I’m not saying to embrace clichés—no way! But your readers may actually appreciate a few friends to cozy up to. Agree? Disagree? Leave a comment and let me know! Writing is a profession, but being a Christian writer is a calling. And if you're called to be a Christian writer, you'll be plagued with self-doubt, family skepticism, and friends who can't decide whether to be ashamed or proud of you. If you're called to be a Christian writer, you'll hear, "Oh, I've always wanted to be writer," over and over. You'll have distant relations and brief acquaintances coming out of the woodwork to have you "take a look at this and let me know what you think." You'll have well-meaning relatives volunteering you to write speeches and newsletters because, "Well, you're the writer" or "You don't have anything else to do." If you're called to be a Christian writer and you find yourself in the enviable position of being able to write fulltime, the demands on your time will increase sevenfold. "Since you're not working, can you <insert their pet project here>?" But remember you ARE working. Your boss is the LORD; you are writing for Him. This is your ministry. If you're called to be a Christian writer, you'll need a support group. Now in this case, it's not to cure you because that's an impossible task. Instead it's to have friends that speak the same language. Terms like "POV," "protag," "hero's journey" and "believable characters" won't mean a thing to your normal friends and family. If you're called to be a Christian writer, you'll start thinking of your characters as real people. This is not necessarily a bad thing. However, one writer's spouse was concerned when he found her leaving notes for her characters on the kitchen table. After some discussion, he agreed not to worry unless the characters started writing notes back. If you're called to be a Christian writer you'll need talent and tenacity. And in most cases, tenacity is more important. Stick with it! It was years before the dreams promised to Moses and Abraham became a reality. Who are we to ask for ours sooner? Although there are some “overnight sensations,” most writers spend at least six years learning their craft before they publish anything. If you're called to be a Christian writer, it will happen. But, it is not being published. It is not making lots of money. It is not being recognized when you walk into a bookstore. If you're called to be a Christian writer, it is the completion of your calling. You don't know need to know the “where,” the “why,” or the “how” of publication. Just obey the call. It's Mixing-It-Up Monday here on Seriously Write. Annette here. Hope you all had a great weekend. Let's dive back into the writing groove with some advice from Harvest House editor Nick Harrison on getting our work through the publishing committee. We're continuing our list of seven reason the publishing committee turns us down. Here are numbers four and five. Unlike some of the reasons, these two are more controllable (i.e. you can work on writing craft, and you can study what the house wants). Poor writing. Although ideally editors such as myself, only take proposals to committee we believe in, that should mean that poor writing is not a reason the committee would turn it down. After all, why would I take something to the committee that was poorly written? The truth is that I might indeed take a proposal from someone who has a platform and is writing on a strong topic, but whose writing is weak. (With the knowledge that as his or her editor, I can help “fix” the manuscript). But often the committee will just say no in such a case. Sometimes the perception is that the author might not be a good fit for us. One of our core values at Harvest House is: Develop and maintain long-term relationships. If you look at our bestselling authors, you’ll notice that many of them have been with us for a long time. Few of our authors venture elsewhere. That’s because of our commitment to having a relationship that’s not purely business. We’re friends with most of our authors. We pray for them when they need prayer, we encourage them when necessary, and we try to produce the best book we can from their manuscript. But sometimes that’s not what an author really wants. Another reason an author might not fit is that we’re looking for authors who will build a writing career, not just publish one or two books and then call it quits. If you’re a one-book author, you will have a hard time finding a publishing home. Next Monday, our final installment in this series. Learn more about Nick Harrison at his blog. Fortifying Fridays at Seriously Write are devoted to giving authors opportunities to share their paths to publication and at the same time, encourage other writers in their own journeys. God loves and has a special plan for each of us. No story is identical, but we can relate to things that other writers experience. 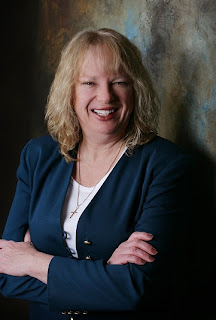 Our guest today is author JoAnn Durgin. She shares how God opened doors for her to publish her debut novel when the time was just right. I’m probably one of the few authors published with only an e-mail query followed by the manuscript. No detailed synopsis, no sample chapters, not even an outline. Unbelievable, right? That was back in January 2009, and on May 1, 2010, I received my first contract. However, please know my journey to publication did take more than a decade. After my early attempts at writing novels garnered a bit of attention from a publisher and several literary agents, I set aside my manuscripts. But I never lost the passion. Why? I knew it wasn’t my time. It was time to raise our three children. In November 2008, I dug out my old manuscripts from under the bed and blew off the dust bunnies. The last stand-alone novel I wrote, Awakening, was a contemporary romantic adventure set in San Antonio featuring a man named Sam Lewis and a woman named Lexa Clarke. I could only find the second half of it. I read it with fresh eyes and told my husband, Jim (the inspiration for the character of Sam), “This is the one, the story I feel the Lord wants me to try and publish.” I envisioned a series based on the characters and my fictional TeamWork Missions organization. 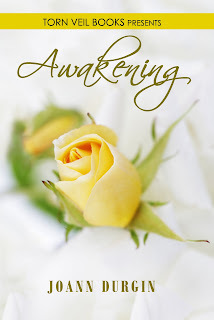 Loosely-based on my love story with Jim, Awakening is the book of my heart. A lot of the strength of character, unwavering faith and goodness in Sam is based on Jim. Some of the feistiness and stubbornness in Lexa Clarke is based on yours truly, but also her resourcefulness and resilience. We finally went to our knees and asked the Lord – if it was in His will – to give my story back to me. Not only did He give it back to me in a dramatic way, but He confirmed it was “the one.” If you’d like to read more, please visit my website at www.joanndurgin.com. Wave to the armadillo! My best advice to aspiring authors is to first pray and commit your words, and your story, to the Lord. He’s your partner and co-author. And then, simply write your passion. If you love your characters, your story will shine, and those characters will jump from the pages of your book into the hearts of your readers. If you’re persistent, and keep your focus on sharing the stories the Lord has given you to share, He’ll open the doors of His choosing, in His timing. You have a story to share, and He wants you to share it! It’s such a blessing to witness the marvelous ways He’s working to get Awakening in the hands of His choosing. It might not be the most literary, well-written or well-edited book on the market, but it has heart and shows the love of Christ through my all-too-human characters. Readers are responding, and it’s a true honor and blessing to be able to answer this unique calling. 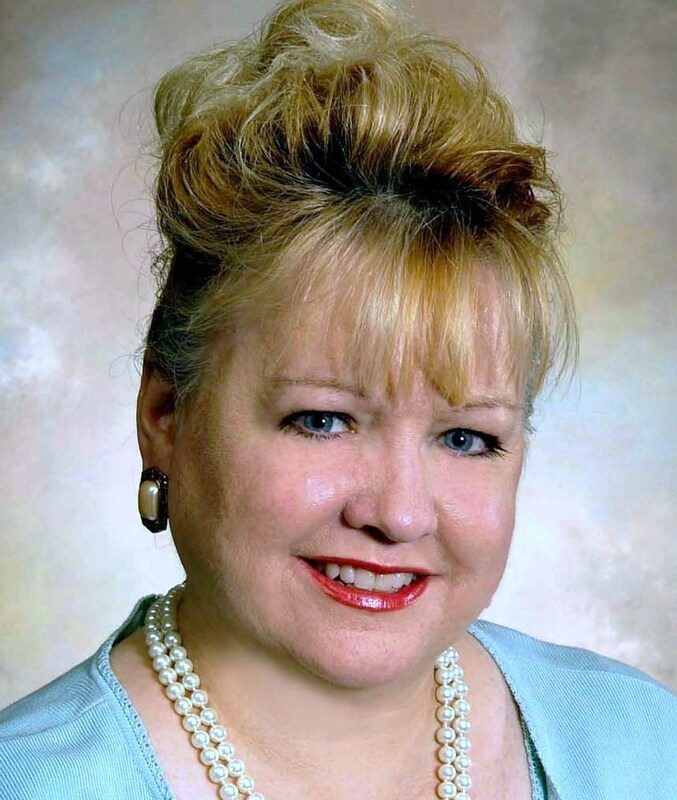 A full-time estate administration paralegal, JoAnn Durgin lives in southern Indiana (near Louisville, Kentucky) with her husband, Jim, and their three children. She is a member of the ACFW, the Indiana ACFW, and the Romance Writers of America. 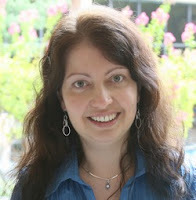 Her debut novel, Awakening, released in November 2010 and has reached the Top-Rated lists in several categories on Amazon. The second installment in her series, Second Time Around, releases on or before September 1, 2011. 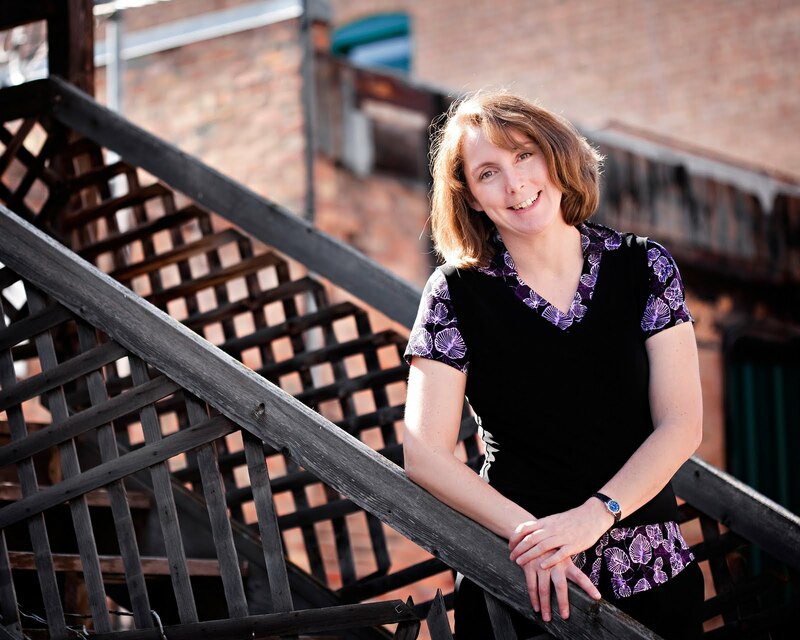 She was a finalist in the long contemporary romance category of the 2010 RWA/FHL Touched by Love contest, and is a regular blog contributor with Reflections in Hindsight and Hoosier Ink. Back in the day—the ’70s to be a little more specific—I was a part of the Jesus movement. We plastered our cars with “One Way” bumper stickers, pinned numerous buttons with faith-related slogans on our jean jackets, and wore humongous cross necklaces. It was a time when going door to door with our message or handing out “Do You Know if You’re Going to Heaven?” tracts on street corners was the “in” thing to do for Christians. I’m not so sure we accomplished what we set out to do…. The thing is, since my teen years, I’ve learned that telling people how they should live their lives isn’t very productive. Or even the right thing to do. Do you like to be told what to do and how to do it? I sure don’t. A friend recently told me her niece no longer wanted to spend time with her grandmother because the woman wanted to “evangelize” her. I guess that meant the granddaughter felt the gospel was being shoved down her throat, and she didn’t like it. I’m a big believer in relationship. You’ve heard it said that we should watch what we do and say because we may be the only Bible some people read. As writers, how can we write about relationship—with God or people—if we aren’t experiencing it? Where is the integrity in our work if we write about loving people, but don’t exhibit love ourselves? I’ve heard many times over that writers attending conferences should be more concerned about developing relationships with other writers there than trying to pitch their book. After attending a fair amount of conferences, I agree with that. The friendships I’ve made at the events have been invaluable and will last a lifetime. Authors who have experience with book signings often advise that it’s better to focus on building relationship with readers who specifically show up to have a book signed, the store staff, and the store’s customers than to worry about sales made that day. Authors have enjoyed getting to know their readers, and there have been many instances where authors were able to minister to those who were struggling with various issues in their lives. John 13:35 says that we’ll be known as Christ’s disciples because of how we love each other—our spouses, our family, our friends … and strangers. In my book, relationship trumps all…. Hi it’s me, Ocieanna! You may remember my Wednesday Grammar-O posts. I had to take a break from Seriously Write for a few months due to a cardiac arrest. (It’s a pretty dramatic story. You can learn more about it on ocieanna.com.) Anyway, we decided to change my Wednesdays a little bit. Rather than coming up with topics I think you’ll find helpful, I’m throwing you the ball. That’s right. I’ll be answering your questions. Your job is merely to ask them. This week’s question: How do you keep research from taking over the writing process? That question resonates with me! Especially with my World War II novel, there were times when I got buried seeking one specific detail. Then, as I searched, an unrelated, but fascinating, factoid would nab my attention. Soon enough, I was strolling down a completely different path than I’d intended, depleting my precious writing time. Whether historical or contemporary; fiction or nonfiction, research can morph into a black hole—warping time and seizing you in. Here are four tips that helped me avoid the black hole. Remember the scene in The Hobbit when Bilbo and his crew are about to travel through a dark, dangerous, spider-filled forest? Gandalf warns them repeatedly to “stay on the path.” Of course their curiosity propels them to stray. Veering off the road gets them lost and (much worse) the nightmare-inducing spiders spin them into their webs. The moral? Stay focused! After a few time-consuming entanglements, I learned the discipline of not letting anything keep me from that detail I needed. Then, after I found it, I allowed myself a limited time (fifteen minutes max) to follow my interests, before getting back to writing. … in your subject, that is. When studying the 1940s, if my husband wanted to watch a movie, I picked My Favorite Wife or His Girl Friday both from that time period. While checking my e-mail, I listened to The Andrew’s Sisters. My relaxing reading material became historical fiction about World War II. I saturated myself in the topic, so when I sat down to write, it flowed naturally. In addition, as I read, watched, or listened, I kept a notebook close by, jotting down yummy tidbits I might use. I accumulated fun slang: “He’s all wet.” “Well, I’ll be a monkey’s uncle.” “Ah applesauce!” I also wrote notes about what they wore and the furniture. Then when I needed historical bits to spice up a scene, I easily flipped through my notebook and didn’t have to lose precious time online. Besides the little nuggets, sometimes big-picture ideas struck. As I researched Victory Heights, I learned about a Japanese submarine attack on a military base in Oregon. Awesome! I wanted to use it, but rather than filing it away for later, I took the time to plan the scene. I chose which characters would be involved, where I’d fit it into the plot, and why the characters cared about it. Doing this when I found it saved a bunch of time trying to figure it out later. Want to know more about how I research? Ask! Leave a comment below and you may find it on the next Ask O Wednesday.